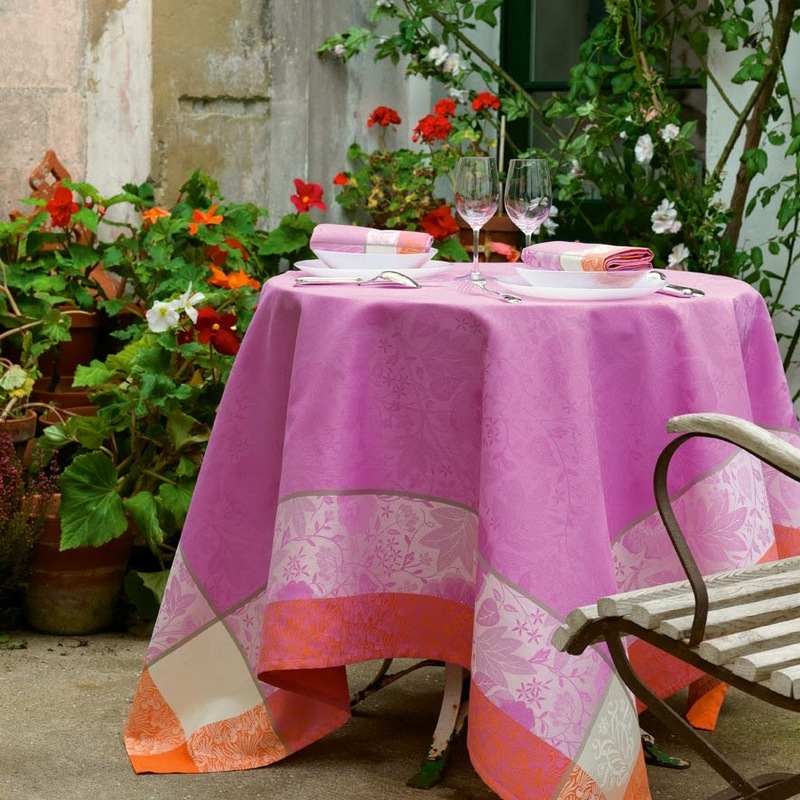 The Le Jacquard Francais Spring 2014 Collection brings sorbet colors to the forefront. The Spring 2014 collection looks at the roots of Le Jacquard Francais designs and reinterprets patterns and color for a more joyous lifestyle. 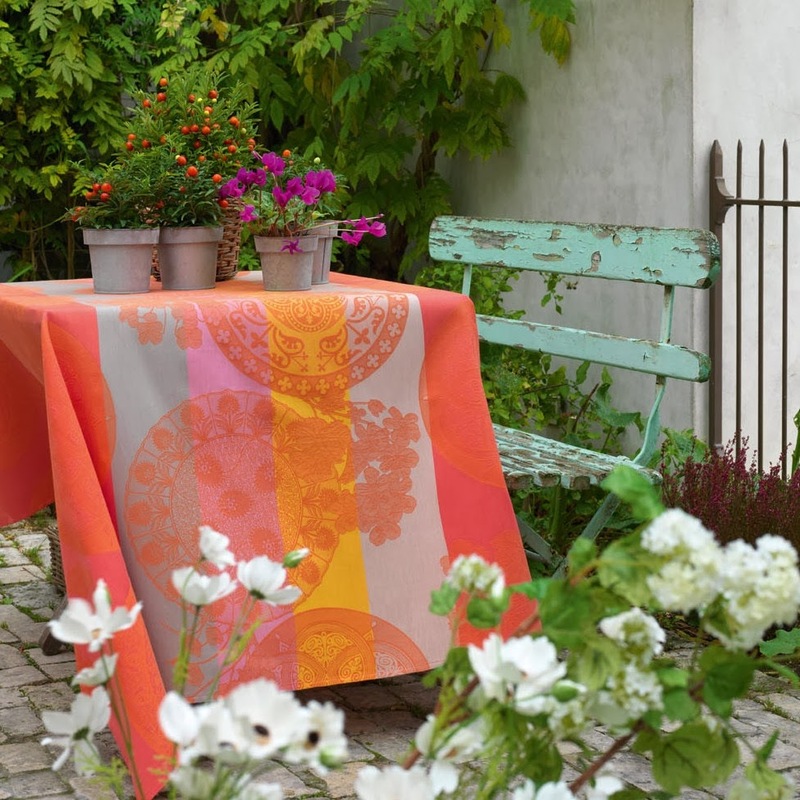 The Le Jacquard Francais Fleurs Gourmandes Collection weaves together stripes of forget-me-not, peach, and green apple for a mouth-watering summer look. The Le Jacquard Francais Victoria Collection﻿ is an all-over floral pattern inspired by William Morris. 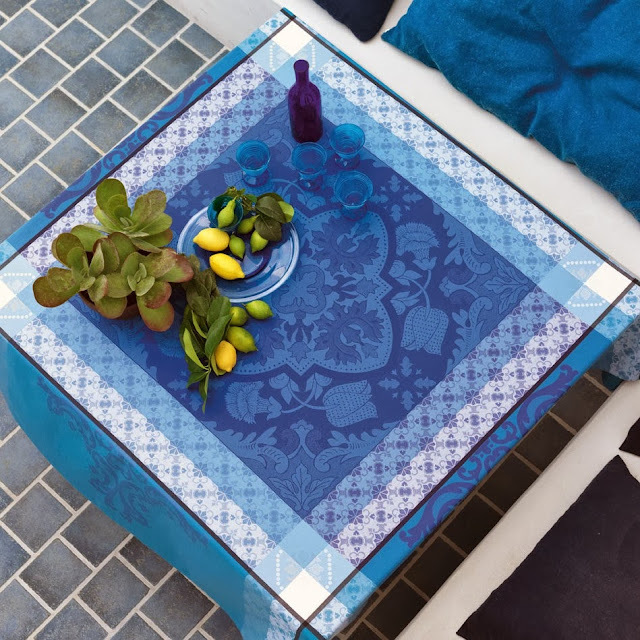 The Le Jacquard Francais Azulejos Collection﻿ features stylized motifs that are an invitation to a weekend in Lisbon or a Brazilian adventure. The visual story is written in a graphic, ornamental vocabulary.